With an Irish Life Health BeneFit plan, We can help you take the first step to a healthier you. It’s a health insurance plan that goes further, giving you a range of benefits that support your health and well-being. 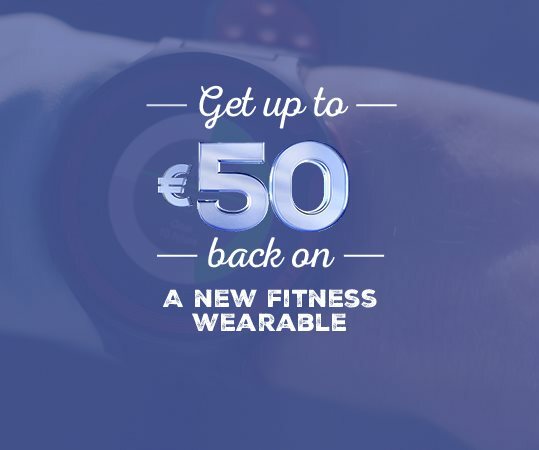 Get up to €250 back on healthy benefits like, gym memberships, dieticians and fitness wearables. The simple things that can help you take that first step. Finding suitable plans . . . 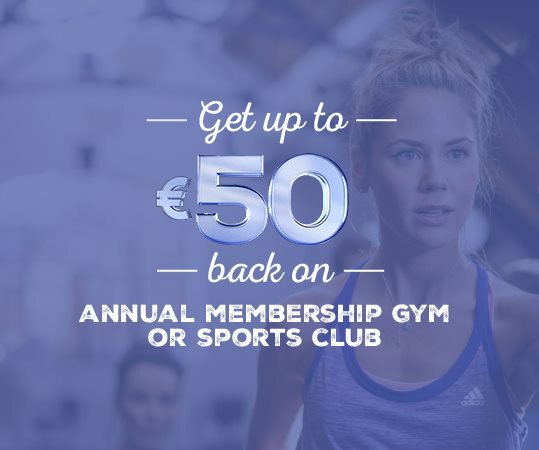 The positive impact of exercise is well documented and with this benefit we're making it even easier for you with money back on your annual membership to a gym or sports club. 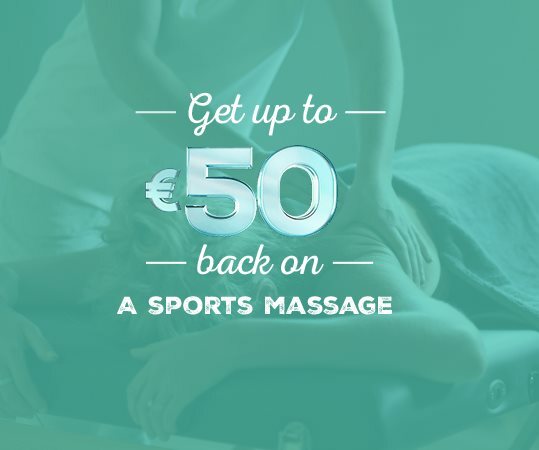 Up to €50 back on a sports massage. Sports Injury Massage is one of the fastest growing forms of treatment in the prevention of injuries, enhancing performance and rehabilitation. With this benefit we’ll contribute towards the cost of a sports massage to help keep you in peak condition. Keeping track of our fitness efforts, however big or small, has never been easier since the introduction of fitness wearables. Track the goals you are most interested in, whether that's steps, food, sleep or weight. 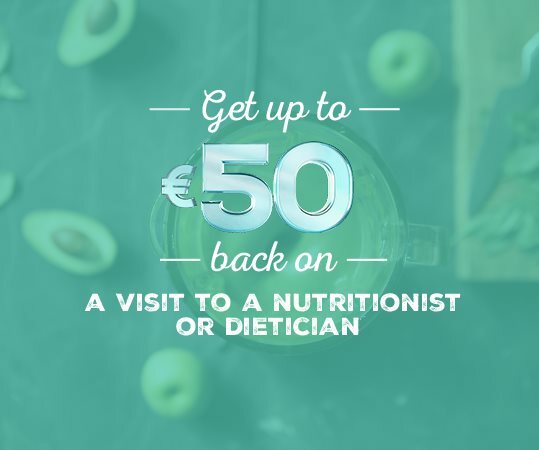 Whether it’s a new healthy regime to compliment your training schedule or simple healthy eating advice for you and your family, with this benefit you can claim a contribution from us towards the cost of attending a dietician or nutritionist. It’s important to remember that healthy living is not just about healthy bodies but healthy minds too. 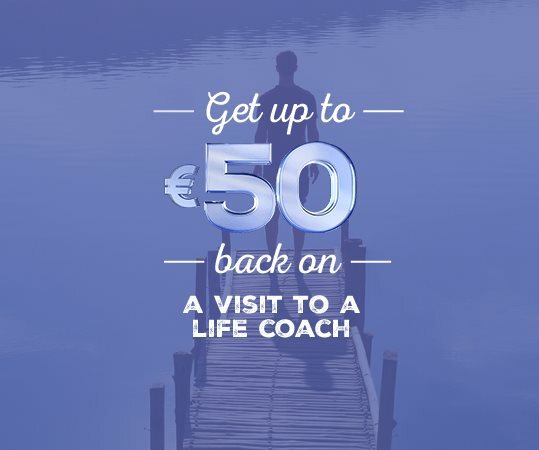 Whether you want help setting new goals or need practical advice on how to re-focus on what’s important to you, a life coaching session can be a helpful first step. Digital Doctor is a benefit that gives Irish Life Health members unlimited consultations with a GP. Find out about our innovative Back-Up service, the smart way to overcome back and neck pain. As an Irish Life Health member you get 24 hours a day, 365 days a year, access to expert advice from a qualified nurse. Minor injury clinics give rapid access to efficient and convenient treatment and advice.